Or view larger version. 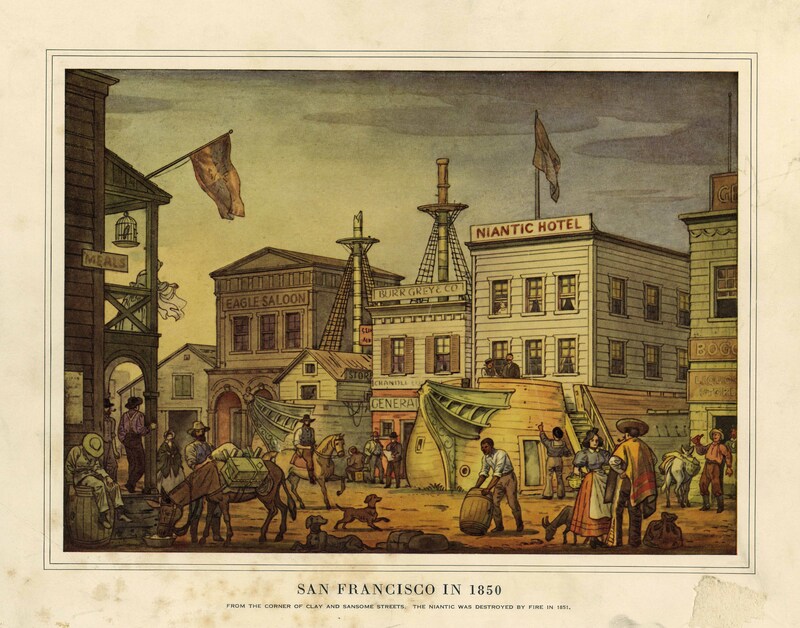 San Francisco in 1850 (Niantic Hotel). 1939. Unknown artist. Work on paper. Collection of Oakland Museum of California.